After three nights in Siena, we took a cab from the Palazzo Ravizza to Piazza Gramsci, located within the city walls and caught a bus to Tiburtina Station in Rome. We had purchased our tickets the day before so we easily stored our luggage and found our assigned seats. After several stops outside the walls of Siena, the bus hopped on the A-1 and off to Rome we go! Three hours later, we pulled into Tiburtina Station. To cut costs, we shared a cab with a couple we had met on the bus. 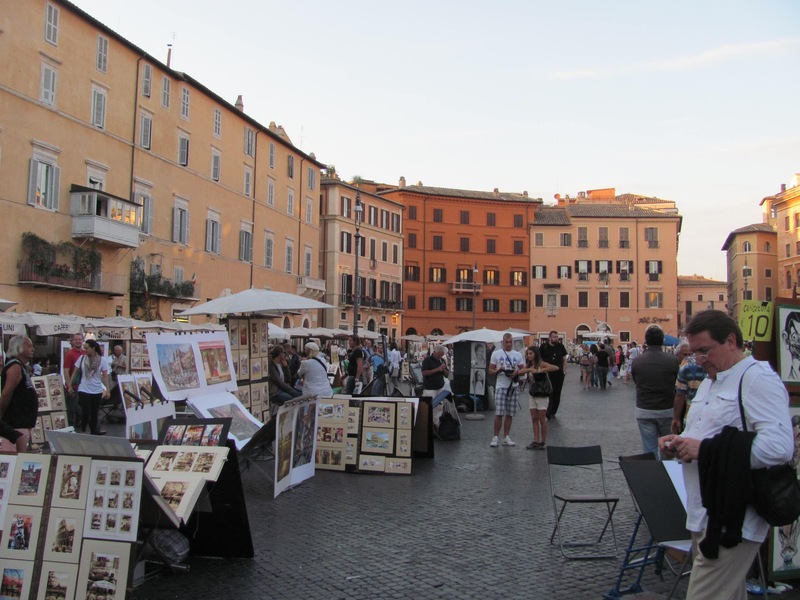 Our driver was fantastic, delivering an enthusiastic tour of Rome en route to the other couple’s hotel, located in the neighborhood behind the Vatican and finally our hotel, located near the Piazza Navona. 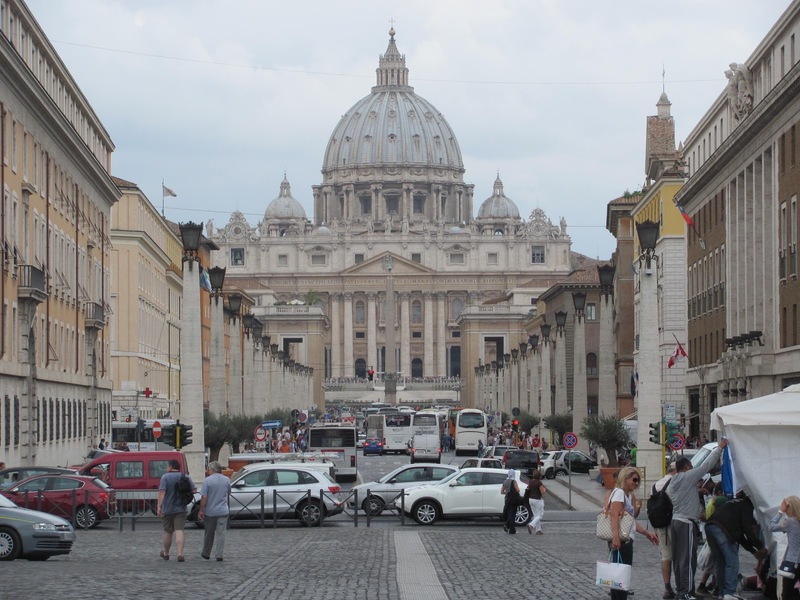 As the driver navigated the pedestrian and café-filled streets, we took in our new surroundings and the hustle and bustle of Rome. 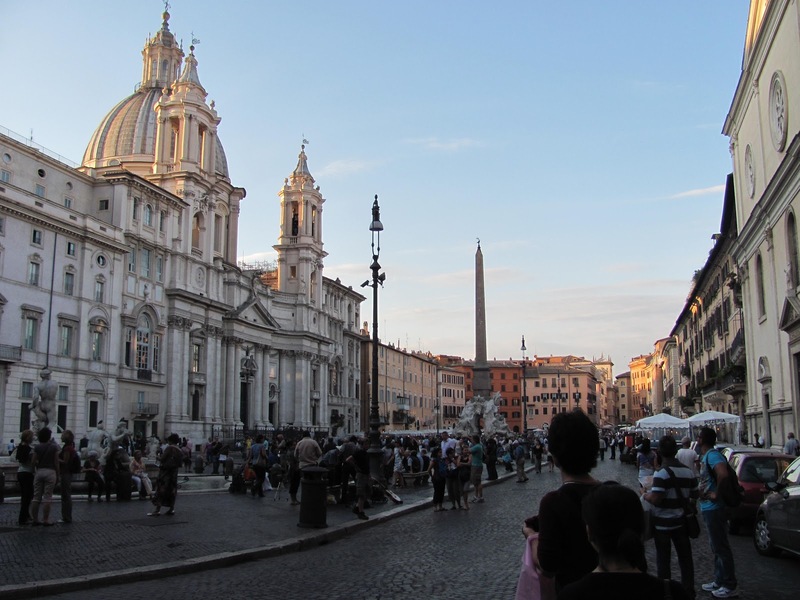 Our driver dropped us off at the Hotel Portoghesi, located on Via dei Portoghesi, an absolutely fantastic downtown location almost smack in the center of all the Roman sights. No need for public transportation if staying at the Hotel Portoghesi. Unfortunately, here we met our first honeymoon snag. 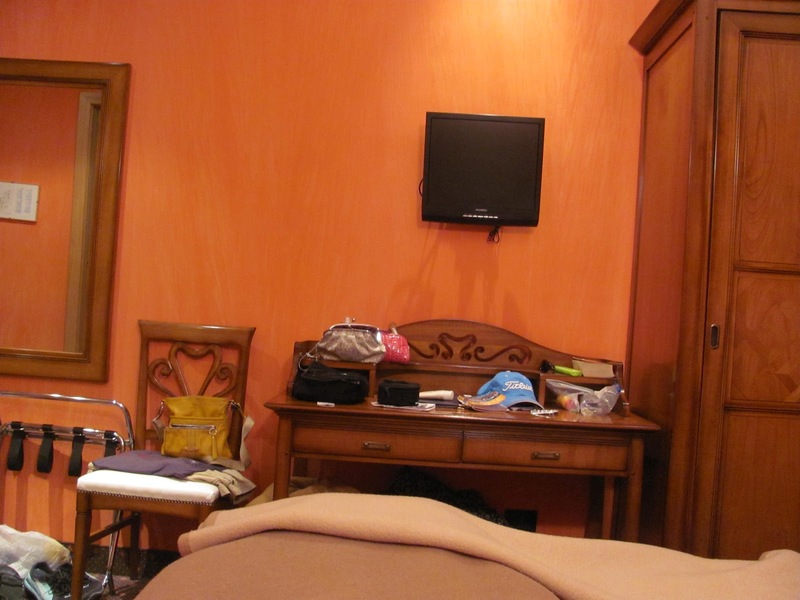 Between the surly young clerk at the front desk (who couldn’t be bothered to greet us when we walked into the lobby) and the room itself, which in addition to being dark and depressing had a non-functioning toilet, we were not happy. I will not write in detail about our experience here and our hassle to get into a room with a functioning toilet. 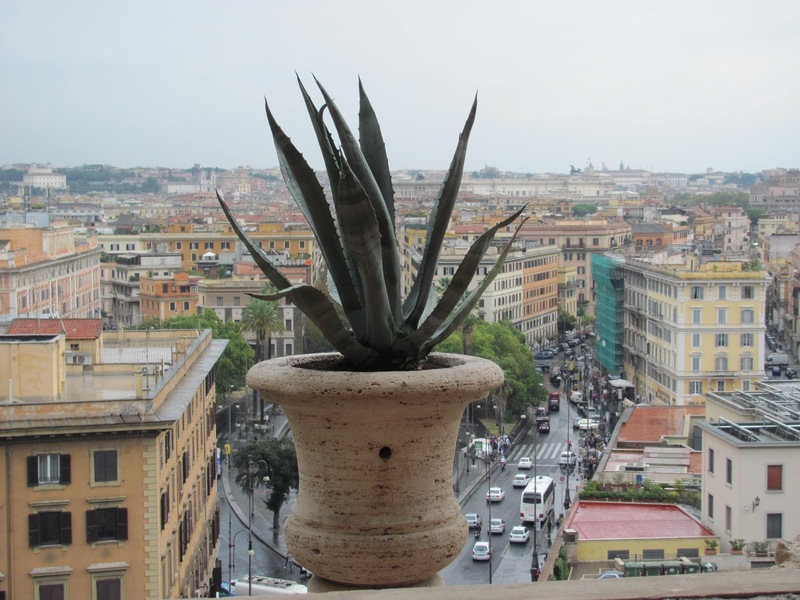 Due to the attitude of the man at the front desk, I cannot recommend this hotel to anyone traveling in Rome, despite its stellar location and roof deck patio where breakfast is served. We quickly freshened up and headed out to find some lunch. There were many quaint shops, cafes and restaurants on Via Dell Orso, just outside of our hotel. We sat down at Papa’s Café and were warmly welcomed by the owner, Antonio. 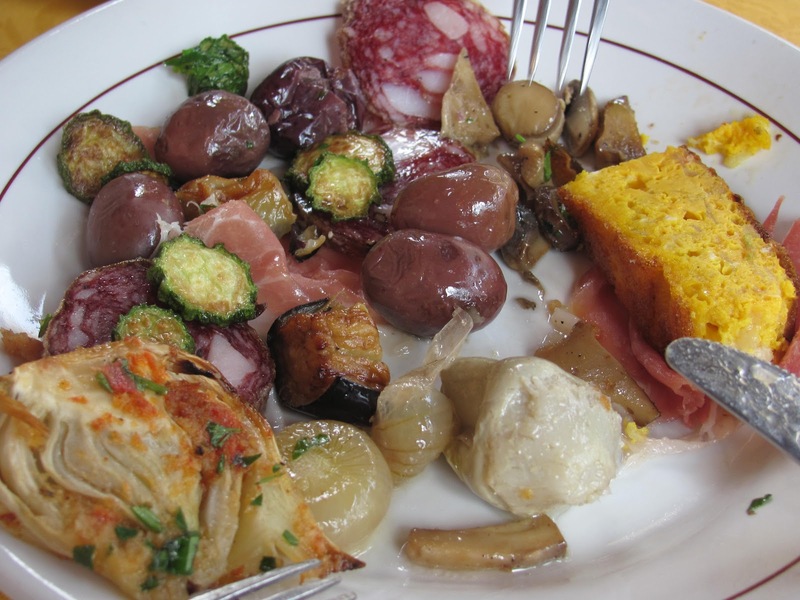 We sipped wine and split an amazing antipasto salad and pizza, sitting on the outdoor terrace and watching people strolling by. 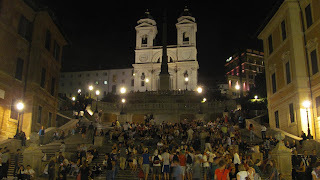 With a couple hours of light left in the day, we walked to the Pantheon, literally a hop-skip-and-a-jump from the Hotel Portoghesi. 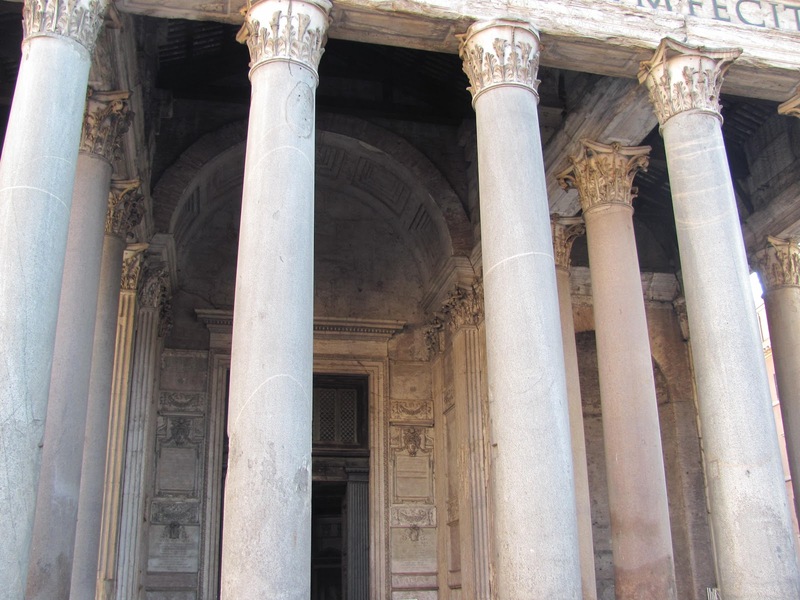 We spent some time admiring the Pantheon’s columns from the Piazza della Rotonda, which featured a fountain and obelisk in its center. 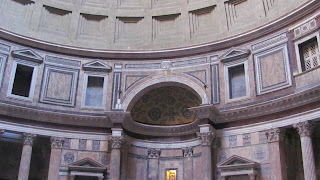 Once inside, we were amazed by the Pantheon’s dome, tombs, sculptures, marble interior and paintings. We grabbed seats on a wooden bench and took it all in. 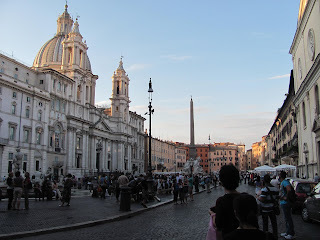 Leaving the Pantheon, we walked to very vibrant and colorful oval-shaped Piazza Navona with its fountains (including Bernini's Fontana dei Quattro Fiumi, or Fountain of the Four Rivers), balconies, vendors, artists, restaurants, surrounded by amazing architecture. We stopped for a drink, prosecco for me and a beer for Jason, at Ristorante Panzirone’s outdoor patio. Although drinks were pricey, this was a great spot to people watch, relax and take in the scene. However, this restaurant looked like a tourist trap and I would probably not choose to eat dinner there. After a nap, we dressed and strolled past the upscale shopping district to the Spanish Steps and then to the Trevi Fountain. 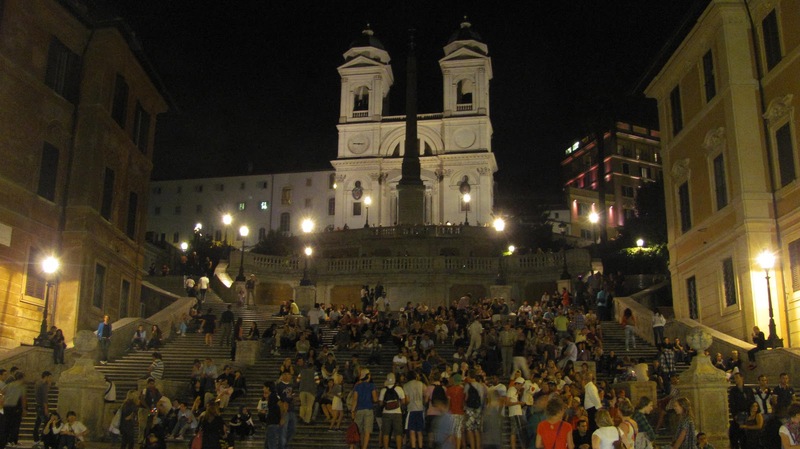 The streets smelled of roasted chestnuts near the Spanish Steps and we were surprised by the large number of people milling around on the steps, the widest staircase in Europe. At the Trevi Fountain, we spent 20 minutes admiring the fountain's intricate sculptures from all angles, taking in the small details and marveling at this amazing creation. To ensure a return trip to Rome (according to a legend), we tossed a few coins into the fountain. 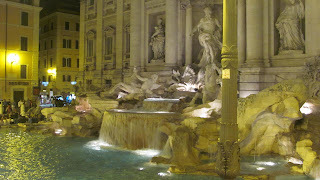 I wish I had photographed the fountain in the daylight but we never made it back. Continuing our stroll, we stumbled upon the Taverna Antonina, the highlight of our dining experiences in Rome. 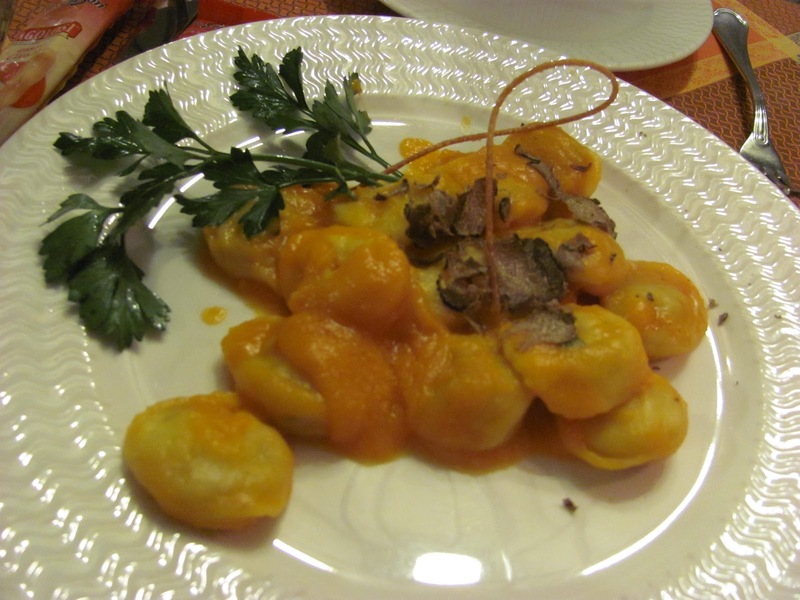 We ordered a caprese salad, black truffle and ricotta tortellini with pumpkin cream and finally veal saltimbocca. So, so good. On the way home, we grabbed gelato and headed back to the hotel for bed. We woke up early, eager to make the most out of our two full days in Rome. We ate breakfast in the Hotel Portoghesi’s breakfast room located on the roof deck. 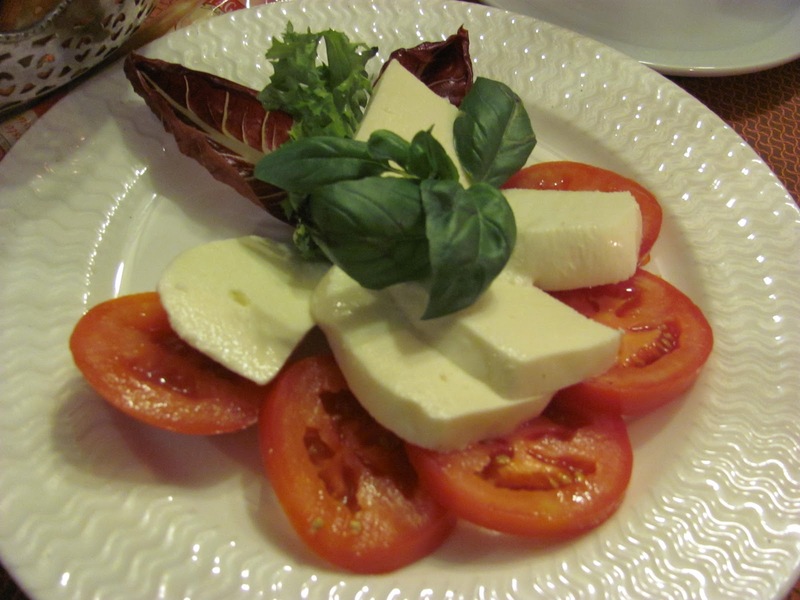 After staying at the Miramare in Positano and Palazzo Ravizza in Siena, the Portoghesi’s breakfast offerings paled in comparison, offering mostly processed food. We drank cappuccino, ate yogurt and nutella croissants, and swatted away the bees that terrorized the patio. Since we had an 11am reservation to enter the Vatican Museum, we had ample time to enjoy the sights en route, no need for a cab. We passed over magnificent bridges and statues and walked along the river on a tree-lined street lined with vendors selling scarves, candy, leather bags and old books. 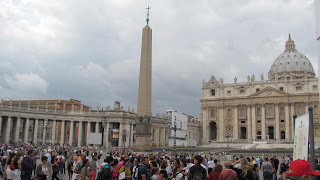 Approaching Vatican City was breathtaking, truly a moment I will never forget. The sheer beauty and ancientness of the area was almost overwhelming. 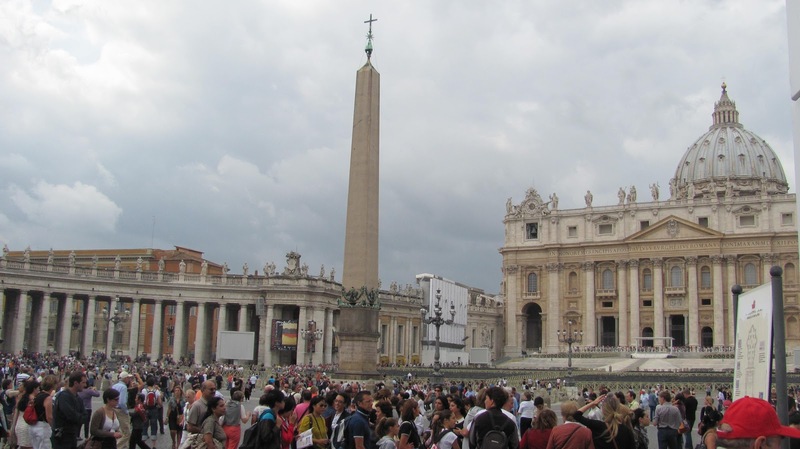 St. Peter’s Square is just massive – we were in awe. Because we bought tickets online in advance, we bypassed the line to enter the Vatican Museum. If I could do this day again, I would hire a guide. 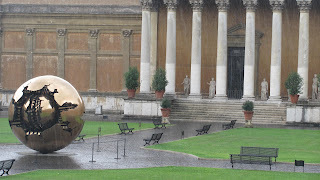 There is really just so much to see and so much to learn; Rick Steve’s audio guide tour did not cut it. 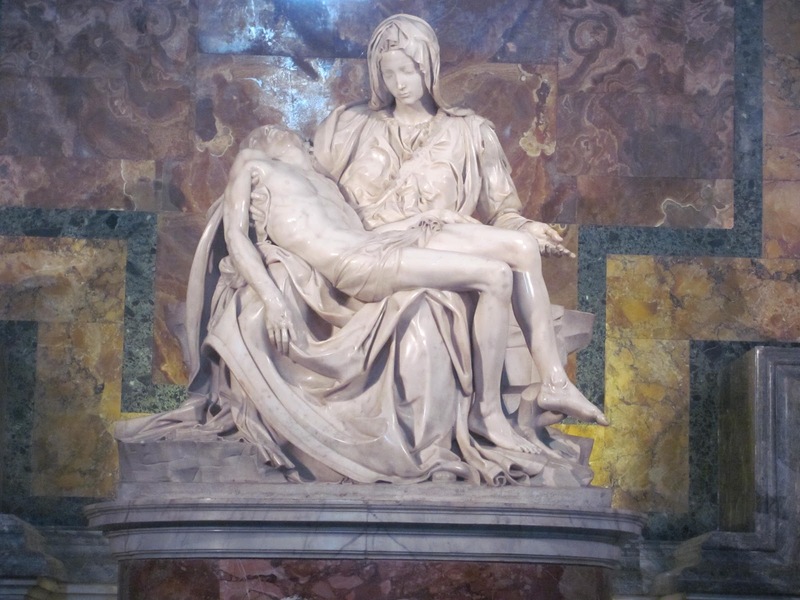 Total time spent at the Vatican was approximately five hours, touring the Museum (this took hours; I was shocked by its size), the Sistene Chapel (gazing at Michelangelo's ceiling was my favorite!) 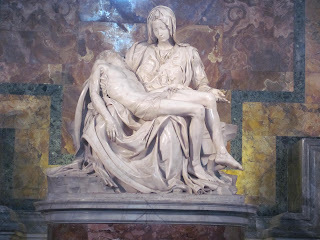 and finally St. Peter Basilica, where we saw the Pietà by Michelangelo – just amazing! By the time we left St. Peter’s Basilica, it was 4pm and we were starving. Bad planning on our part - all of the restaurants were closed! We sat down at the first open café we found and ate microwaved pasta entrees. We were so disappointed, a wasted eating opportunity in Rome, so sad. On the way back to the hotel, hungry and knowing my eating opportunities in Italy were coming to an end, I bought a panini with fresh mozzarella, proscuitto and tomato from a beautiful deli near our hotel named Antico Forno. Walking back to our hotel, we noticed a beautiful church next to our hotel, the Church of Sant’Antonio dei Portoghesi. 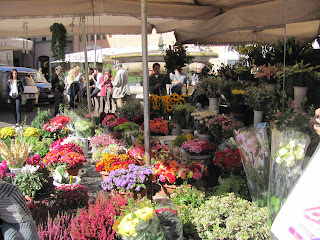 After a nap, we walked to Trastevere, stopping for a drink in the very lively Campo de’ Fiori. 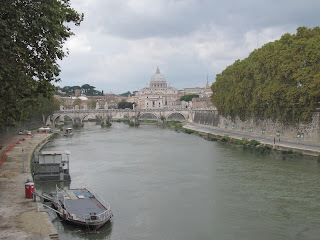 After the drink, we walked and eventually crossed the Tiber River, listening to musicians playing the vuvuzela, an African horn and drums on the bridge. So much energy and so many people, enjoying live music and drinks outdoors on an early October evening. 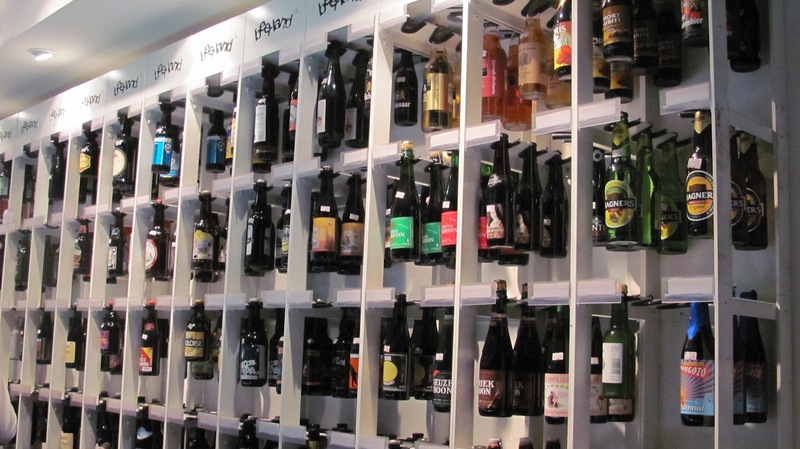 We were surprised by the number of good birrerie (beer bars) there – Jason loves beer. 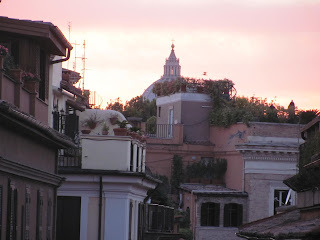 Next time we visit Rome, we will stay in Trastevere. Indecisiveness stuck and we walked in circles trying to find a restaurant that could seat us. All of the menus looked excellent - how do you choose? 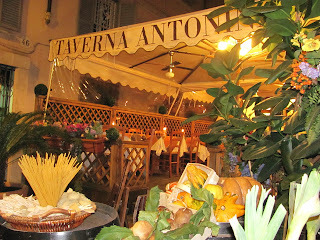 As a result, we ate a very mediocre meal at Hostaria del Moro da Tony on Vicolo del Cinque. Good prices, average food. 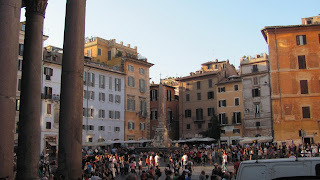 We stopped for a beer at a bar, enjoying the feel of Trastevere and locals out on the town on a Friday evening in Rome. On the way home, we visited Beerland, lined with local brews and microbrews from all over the world. We chose a beer each, the cashier poured them into a cup for us, and off we went! 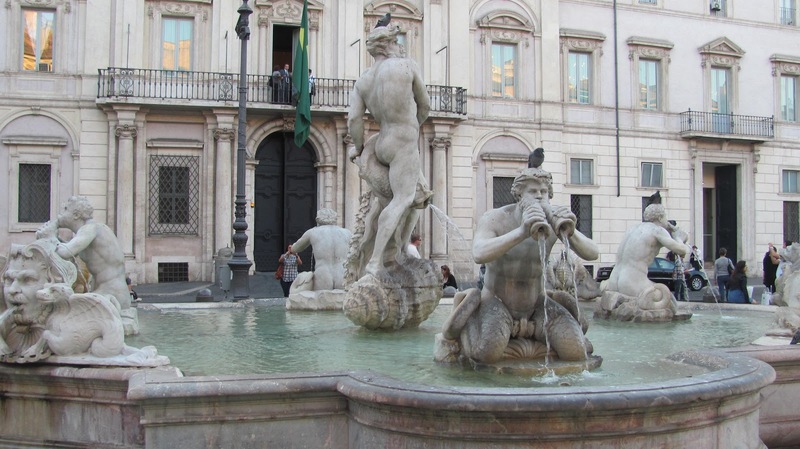 On the walk home, I traded my pale ale for a gelato near Piazza Navona. Gelato trumps beer! After breakfast at the hotel, we walked though Campo de’ Fiori, which was in the midst of its huge Saturday open-air market featuring flowers, fruits and vegetables, meat, fish, home gadgets, clothes, etc. After walking through the piazza, we walked through Rome's historic Jewish Ghetto and then Capitol Hill, where we saw a wedding taking place. The mere sight of the Colosseum and the Arch of Constantine in the distance blew us away. As we approached the bustling area, we saw the long, long line and quickly decided to hire a tour guide to bypass the line, joining a group of about 20 folks. 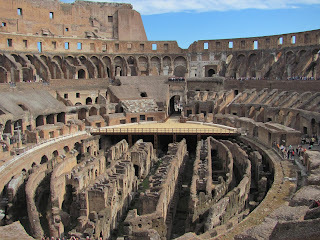 The tour guide was interesting and informative and did his best to paint a picture of what took place in the Colosseum in the gladiator days. 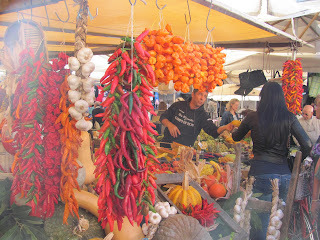 We were hungry and decided not to continue with the tour group to the Roman Forum. Instead, we hiked up the hill and sat down for a tasty lunch at Hostaria da Nerone, sharing an antipasto plate and some vino. After lunch, we toured the beautiful San Pietro in Vincoli (Saint Peter in Chains Church), checking out Michelangelo's statue of Moses before walking back down the hill to toward the Roman Forum. 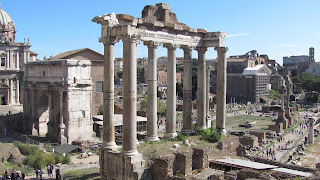 The Roman Forum is so massive and so amazing that we could have spent a whole afternoon there but unfortunately, our feet and legs were aching. 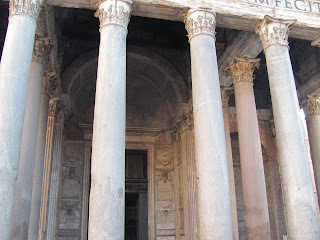 We did our best to see most of the ruins but it seems we could have spent an entire day here instead of a couple hours. 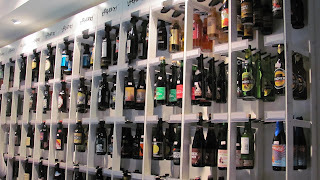 Back near the Piazza Navona, we bought souvenirs and some prosecco and beer at Vinaio on Via dei Portoghesi. We took our drinks to the roof deck to watch the sun set over Rome on the last night of our honeymoon. After sunset, we wandered the narrow streets in our neighborhood and sat outside at Old Bear for a glass of wine. We ended up eating here too, sharing the rustic appetizer, a collection of grilled vegetables, cheeses and meats , baked pumpkin lasagna and spaghetti all’ amatriana. After one last gelato, we wandered back to the Portoghesi, printed out our boarding passes on the hotel’s shared computer and went to bed. Back to Boston! Rome amazed us. Every which way we turned, there was something ancient to see. 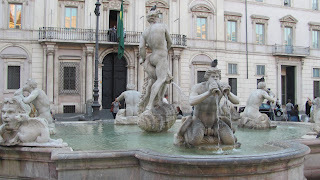 We were amazed by the number of squares, fountains, statues, bridges and parks. There is so much to see in Rome! Now that we have seen some of the major sights, we look forward to visiting again someday for a more relaxed vacation. It was a lot of sightseeing for 2.5 days but we were thankful that our hotel was within walking distance of most of the major sights. 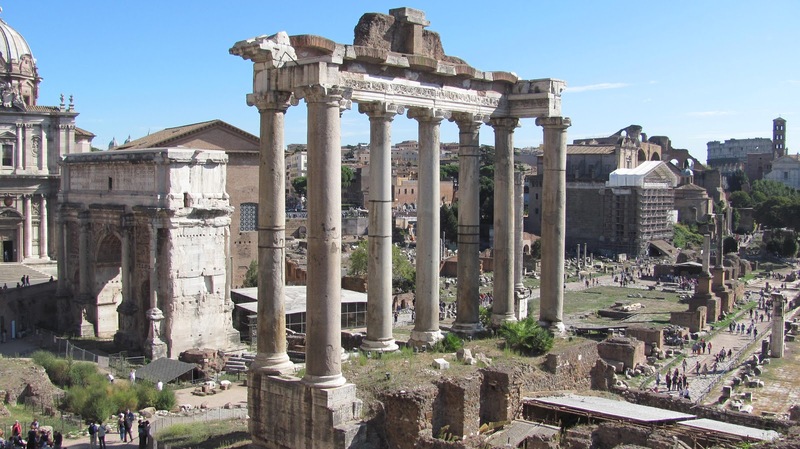 To learn more about Rome, click here. 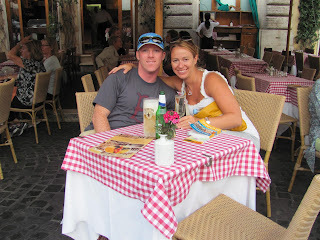 To read my Honeymoon Report Part I: Positano, click here. To read my Honeymoon Report, Part II: Tuscany, click here. 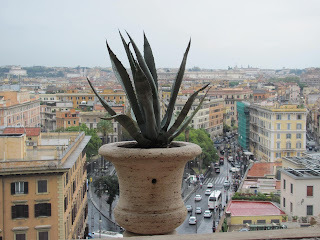 I just found your blog and the pics of honeymoon in Rome are so fabulous. I'm dying to go there...Congrats on your wedding!